You make me look good. The client saw it on the floor before we put it up and she admired every little detail. 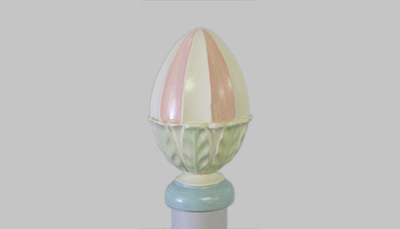 She held up the finial like it was a Faberge egg! You really did a remarkable job. Amazing – they are lovely – really perfect – Thank Thad for his talent!! The home I am working on is a gorgeous Georgian Colonial. The Mahogany stained rods are just beautiful. The color is perfect and the shine is just right. The carved finials trimmed in gold look as lovely as a pair of earings. Thank you so much, we are more than pleased. The Decorator was walking on air and the client was speechless… Loved the gold rods! Hooray!!! Thank you Jayne…you were a pleasure to deal with and educated me along the way! I really appreciate all your hard work! We’ve been nothing but pleased with everything so far! Thank you so much for your beautiful work! The designer (one of my “VIP” clients) gasped when she saw Thad’s beautiful workmanship. It’s such a comfort for me to know that whenever we use you for a job, I can be confident in the results. Wish I could say the same for all my vendors! Thank you again, the rods and rings looked fabulous. Please tell Thad how much I appreciate him finishing them for my install. The rods looked great and so did the living room rods that Thad did. The client and designer were very happy! It is a pleasure to work with you both. I received the LR and DR rods and finials today. They are BEAUTIFUL! You guys do amazing work. I look forward to doing our next window! The 5 sided bay rod, master/door knob, and the radius DR rods got rave reviews and went (up) beautifully. Just wanted to tell Thad how beautiful the rod is. Color is perfect, the paint finish is gorgeous and I love the way the back was routed out to receive the rod. It is just perfection. Thank you so much for the work you do. 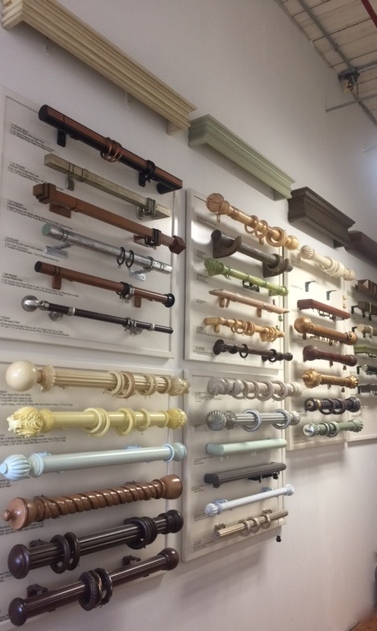 We are a manufacturer of fine custom made and finished wood and metal drapery rods, finials, rings and brackets exclusively for the Interior Design Trade. 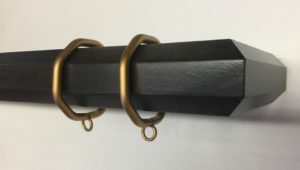 With our 35 years of expertise, we have perfected the art and craft of creating the highest quality drapery hardware with custom finishes not available elsewhere. 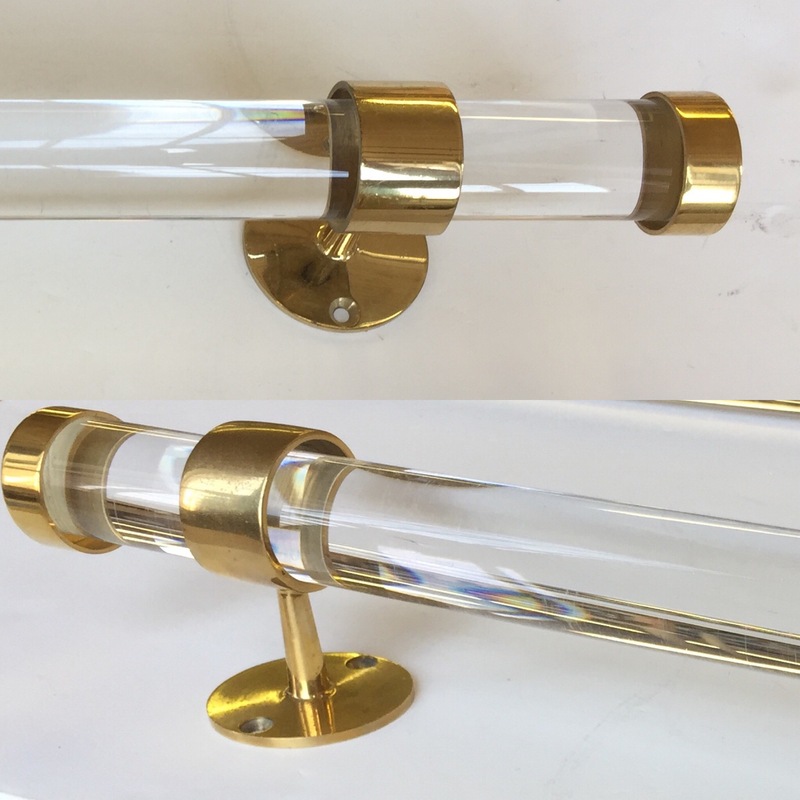 Our hardware hangs in many exclusive homes, resorts and businesses throughout the United States and has been featured in magazines such as Elle Decor, New England Home, Better Homes & Gardens, Traditional Home Magazine and Architectural Digest. When it comes to creating a stunning window the devil is in the details. The type of drapery rods and drapery hardware you select matters! Window Imagination, Inc. defines custom as limitless possibility. Custom also means your hardware is made to order. Our 35 years of experience and technical expertise is your gateway to unlimited design and manufacturing possibilities for truly custom drapery hardware. 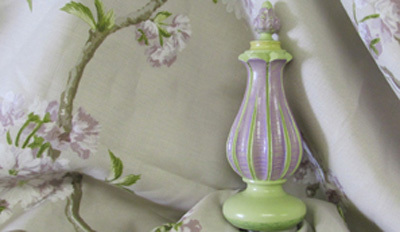 At Window Imagination, Inc. we provide you, the designer, with a resource to create one-of-a-kind drapery hardware. We are your go-to resource for the finest quality drapery hardware solutions. Let us guide you through your most challenging situations. If there is something you think can’t be done, chances are it can be done at Window Imagination, Inc. If you aren’t sure, just call us at (978)655-4394 or email us at Jayne@WindowImagination.com and put our expertise to work for you! To get your custom Estimate for your next project, email us at Jayne@WindowImagination.com or call us at (978)655-4394. 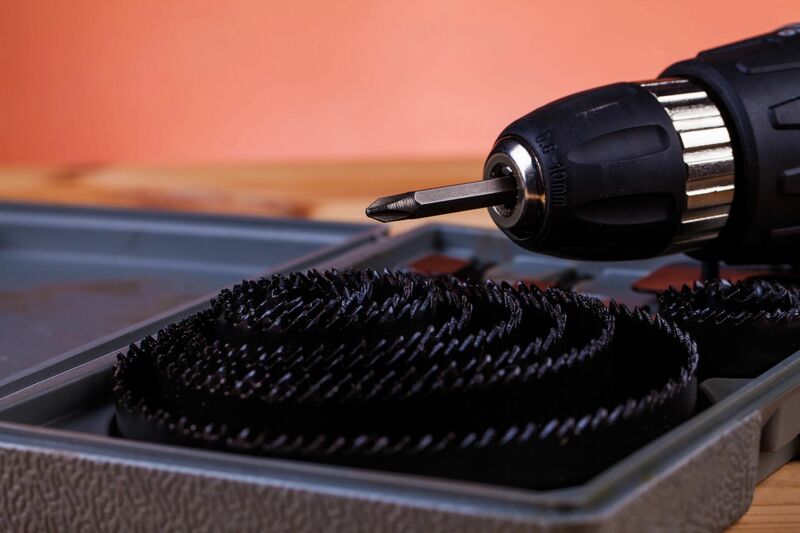 If you are in need of Installation Services, contact us at (978) 655-4394 or send an email to Jayne@windowimagination.com to get a custom quote. Wood Drapery Rods & Metal Drapery Rods: We provide custom wood and custom metal drapery rods in non-traversing and traversing options, in a variety of diameters, shapes and styles, with endless finishing possibilities. 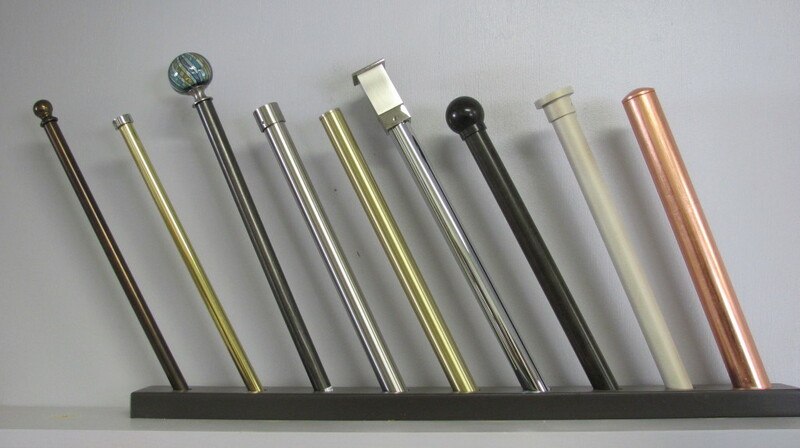 In addition to our custom metal rods, we offer a line of standard metals. 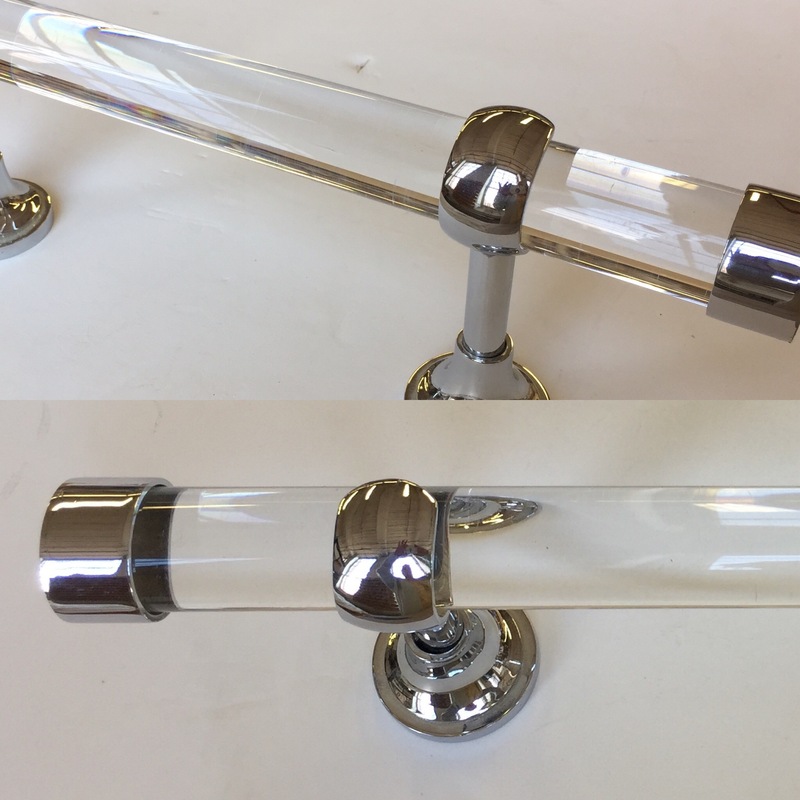 We also offer clear acrylic rods in 1″ and 1 3/8″ diameters. 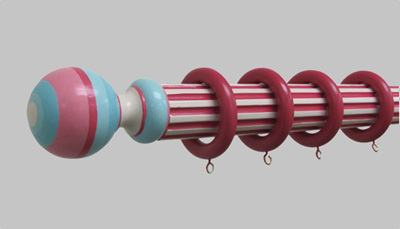 Finials & Elbows: We provide a wide variety of wood and resin finials for use with our wood rodding. 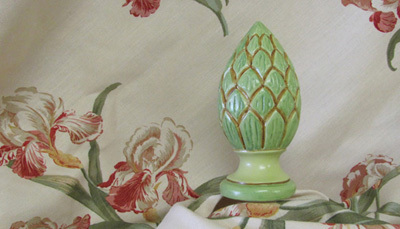 We can also use finials from any source and finish them to match your order. We also offer wood and metal mitered or rounded elbows. Rings & Brackets: In addition to offering a large variety of wood and metal rings and brackets, we also customize metal rings and brackets in any shape or diameter. Our own metal U-Bracket, designed to be the least obtrusive, is the most popular. 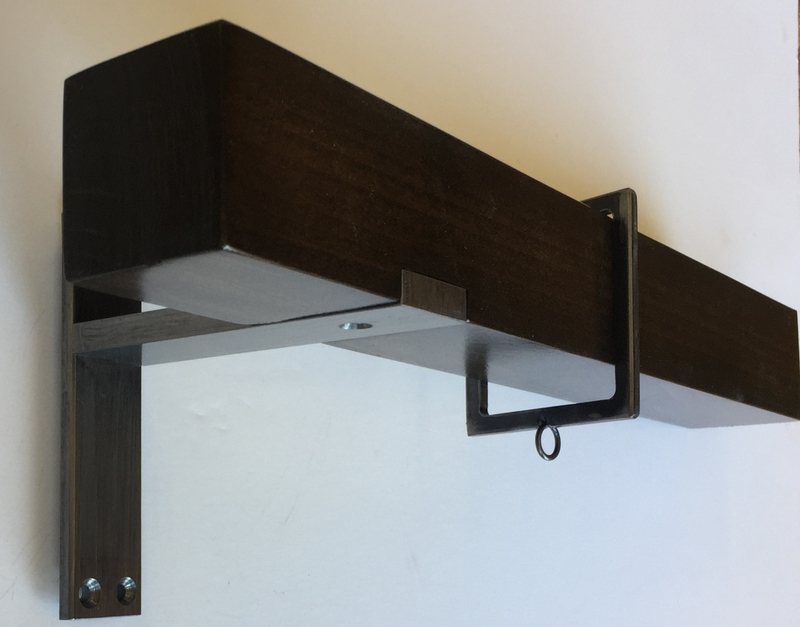 Custom metal brackets solve difficult installations such as extreme projections and limited mounting surfaces. 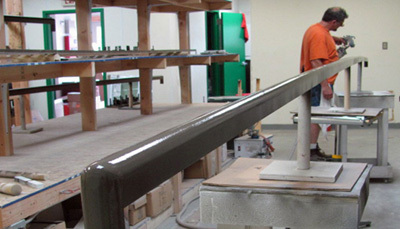 Finishes: We specialize in custom finishes. Every order is finished to your exact specifications. 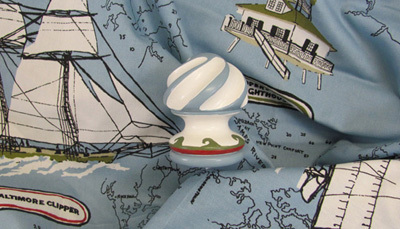 Choose a paint or stain using any manufacturers chart, or we can custom match to fabric, woodwork or a specific item. Wrought-Iron: We fabricate iron drapery hardware in-house, which can be made in a variety of diameters, custom lengths and in any finish. 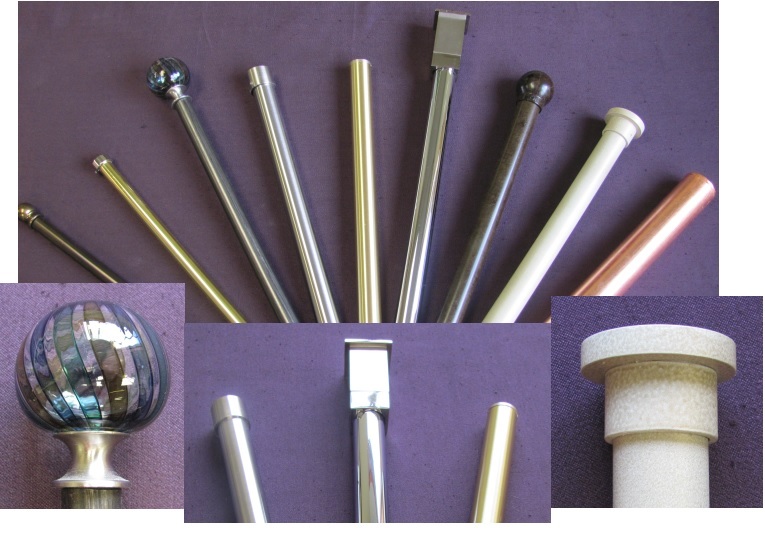 Brass & Stainless Steel: Is available in a variety of diameters, custom lengths and finishes. 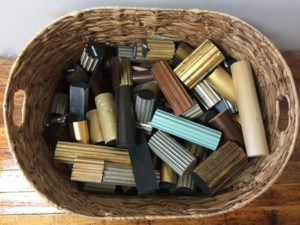 Standard Metals are available in: Polished Brass, Satin Brass, Ancient Bronze, Black Nickel, Brushed Nickel and Polished Chrome in 1″ and 1 3/8″ diameters. 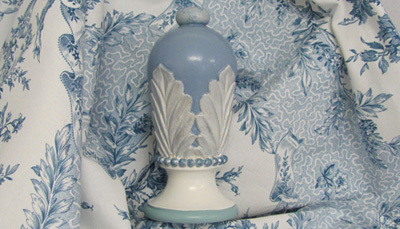 There are a number of coordinating finials available in the Standard Metals Line. * We can also finish our wood products to look like metal. Cornices: Custom cornices can be made in any length, depth and finish. 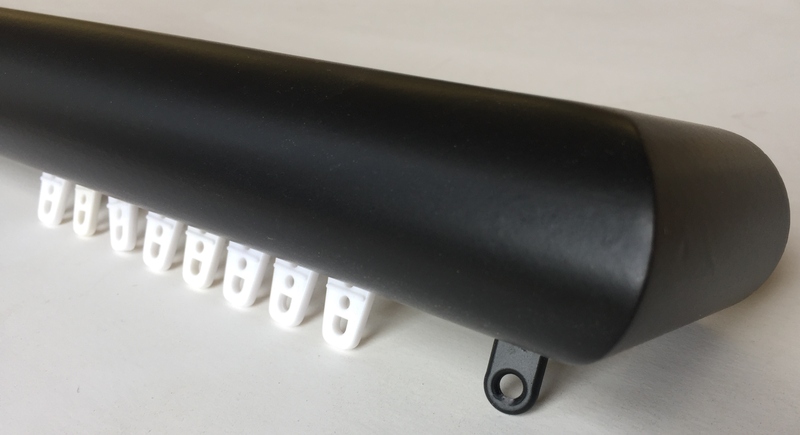 We can insert traversing, ripplefold traversing and motorization. Large Jobs: We love helping find solutions for larger projects! We create facades for motorized rods, curved rods, and hardware for industrial and hospitality applications in unlimited lengths. At Window Imagination, Inc. you are getting a truly custom creation. Use your imagination – we’ll make it a reality. 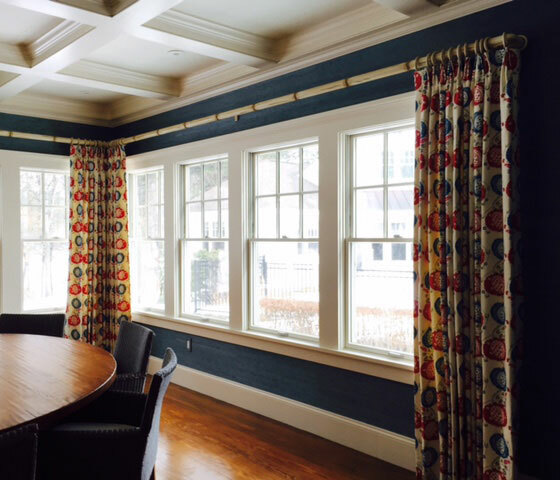 If you are in need of measuring, consulting, and/or templating for bays and curves, including motorization, contact us at (978) 655-4394 or send an email to Jayne@WindowImagination.com. If you are in need of drapery hardware installation services, call or email us to discuss the details of your project. We are happy to provide you with a quote for your next project!